With a soulful voice and heartwarming storytelling that have left you with a smile after watching his YouTube video, TJ Monterde is changing the game as he releases his first record, “Ikaw at Ako” via Galaxy Records and distributed by PolyEast Records. From being Cagayan de Oro’s radio personality to a local TV host of ABS-CBN’s regional show to YouTube-born balladeer—he surely has the package for entertainment. 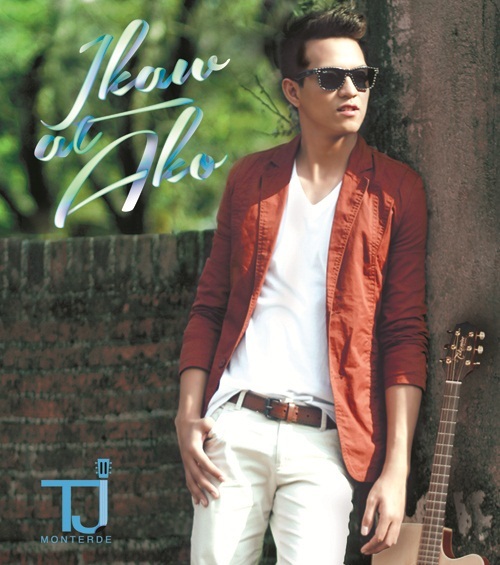 Recorded at Studio 1103 in Quezon City (owned by Lito Camo), “Ikaw at Ako” finds the singer/songwriter pushing six OPM old hits and five originally penned songs in about equal measure. Collaborating with top-notch producers and musical engineers, Monterde’s debut album boasts the first single “Ikaw At Ako” and showcases his soulful wail and guitar playing. Currently, “Ikaw at Ako” is playing on local radios and it’s music video has caught positive feedback online garnering 40,000 YouTube viewers in two weeks (http://www.youtube.com/watch?v=hifLWrMh-T4) and Pinoy MYX Countdown charted on #4. “This album is a conscious decision and what I thought really needed to happen. It just felt like I needed someone to rattle my cage, take some risks and continuously love what you do. With the accessibility of the social media, I was able make it work” Monterde shared. Although Monterde sang a bit in several shows in CDO, his eloquence has been exercised most rigorously in a radio career since he was only 16—guesting in his father’s local radio show and eventually to a regular radio gig. However, no matter how diligent his efforts during his radio stint, he has never been able to translate his command of language into songwriting and able to use social media to his advantage. 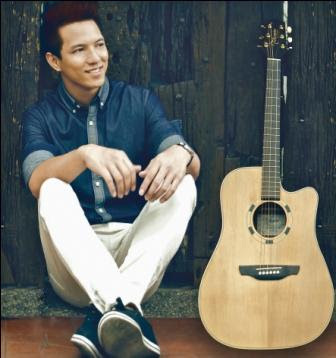 Belting out witty lyrics and acoustic ballads on YouTube since 2011, TJ started sharing his original compositions and reached a wide audience receiving rave reviews in the world wide web. 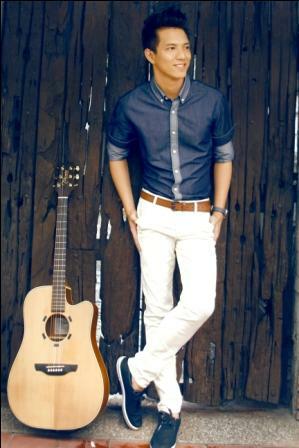 “Ikaw at Ako” became his signature song and officially debuted as the song for YouTube’s viral film called “My Super Fan Girl”. The video reached merely 200k hits on its first night. Leaning back to the old OPM sound and yet giving another life to each song, seven covers include “Cold Summer Nights” (Francis Magalona), “Hindi Mo Ba Minamahal” (Dingdong Avanzado), “Iyong-iyo” (Big Thing), “Mabuti Pa Sila” (Gary Granada), “Mahal na Mahal” (Archie D), “Pangako” (Kindred Garden) and “‘Wag na Lang Kaya” (Truefaith). Original music does exist and if you want all OPM acoustic songs in its purest form, then look no further than TJ Monterde’s debut album called “Ikaw at Ako”. Laced with guitars and subtle singing, Monterde is probably the wordiest singer you will ever listen to nowadays. “Ikaw at Ako” is now available in stores released by Galaxy Records distributed by PolyEast Records. Special thanks to Hairshaft Salon (Podium Mall), Mossimo and Red Box (EastWood Mall). Way back in 2006, Monterde started as a radio jockey at the age of 16 to a TV host of a ABS-CBN’s regional (Mindanao) magazine show called “MagTV” at 18. Monterde, now 24 years old, grew up in Cagayan de Oro and graduated at the Xavier University (Ateneo de Cagayan) with a degree in Development Communications. Over 2010, his profile has grown as multimedia entertainer who has also appeared on local television and gigs across Mindanao.